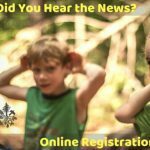 Online Registration for Fall Programs is OPEN! We just launched our 19th year of summer camps! PORTSMOUTH — The Foundation for Seacoast Health granted $10,000 to the White Pine Programs of York, Maine, to support its continued efforts to expand the teen program. The grant was gifted at the 2018 HealthcareGIVES Spring Awards Night Thursday, May 10, at the Portsmouth Yacht Club. 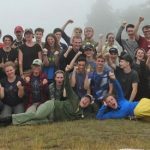 YORK — Maine Coast, a world-wide distributor of North American lobster, headquartered in York, has announced its partnership with White Pine Programs, the York-based nonprofit serving over 2000 kids, teen and adults annually with nature connection programs. Less Screen Time…. 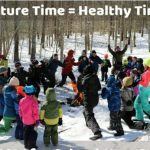 Support More Green Time! PORTSMOUTH — The Seacoast Women’s Giving Circle announced five 2018 grant recipients at its 12th annual GIVE Fundraiser Celebration Thursday at the Portsmouth Yacht Club. 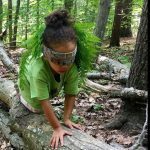 Totaling more than $60,000, the awards will support the Seacoast environment through grants in environmental education and next generation engagement, environmental justice, water quality and land use. Collectively, these funds will impact the lives of thousands of individuals living throughout the Seacoast.